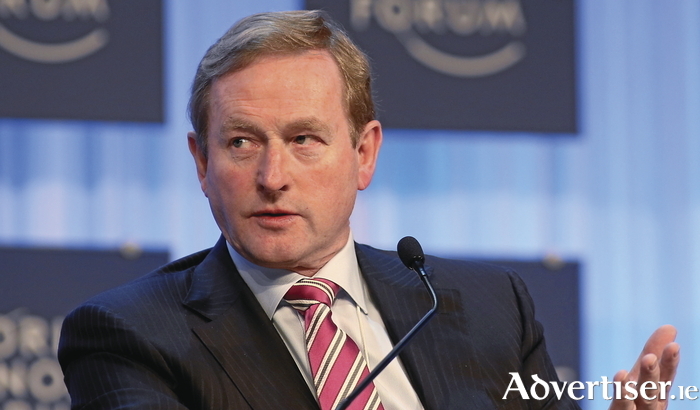 Protesters will await the former taoiseach Enda Kenny as he arrives in NUI Galway this afternoon to receive an honourary degree of Doctor of Laws for his contributions to public life from the university. The Galway Alliance Against War will hold a protest at the main vehicle entrance road to the Quad, University Road, from 4pm. Niall Farrell, spokesperson for the group, said the university should see the "irony in bestowing a doctorate of law" on a man who, "during his years as taoiseach, willingly colluded in war crimes throughout the Middle East and beyond". Mr Farrell said that under the former taoiseach's watch the US military has been "given free rein to use Shannon Airport" and Irish airspace to transport troops and munitions to war zones to kill and destroy. "This includes US weapons destined for Saudi Arabia's genocidal war in Yemen," said Mr Farrell, "where little children are being killed like flies, one every 10 minutes." Enda Kenny studied at St Patrick’s College of Education in Dublin where he qualified as a national teacher, and subsequently undertook further education at the then University College Galway. He worked as a primary school teacher for several years before being elected to Dáil Éireann in 1975 following the death of his father, Henry Kenny. He is the latest former taoiseach to be honoured by NUIG. Previous recipients include Brian Cowen, Bertie Ahern, and John Bruton.